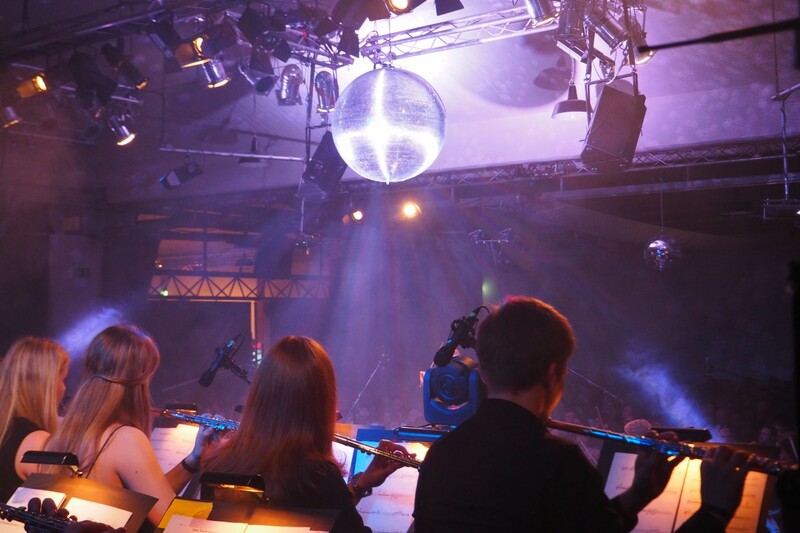 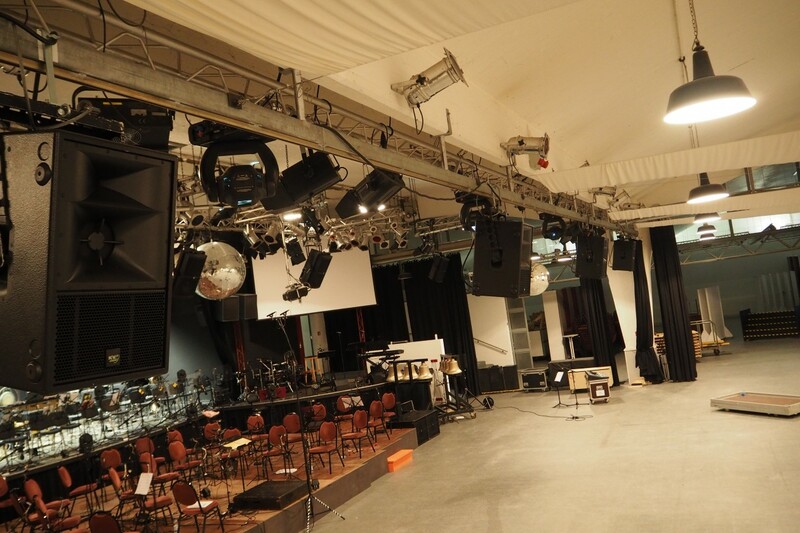 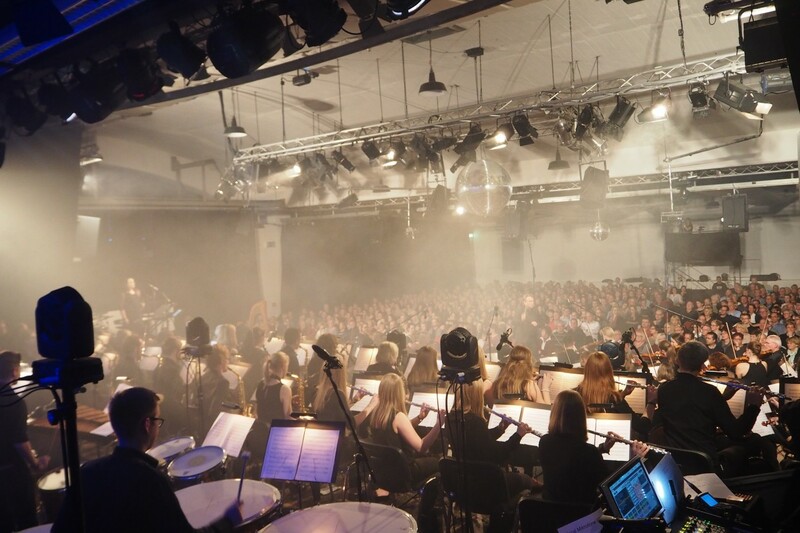 Organized by "Alte Weberei“ and in cooperation with the music school of Nordhorn, the 17th annual Sinfonic Rock Night in Nordhorn took place during the last week of November 2015. 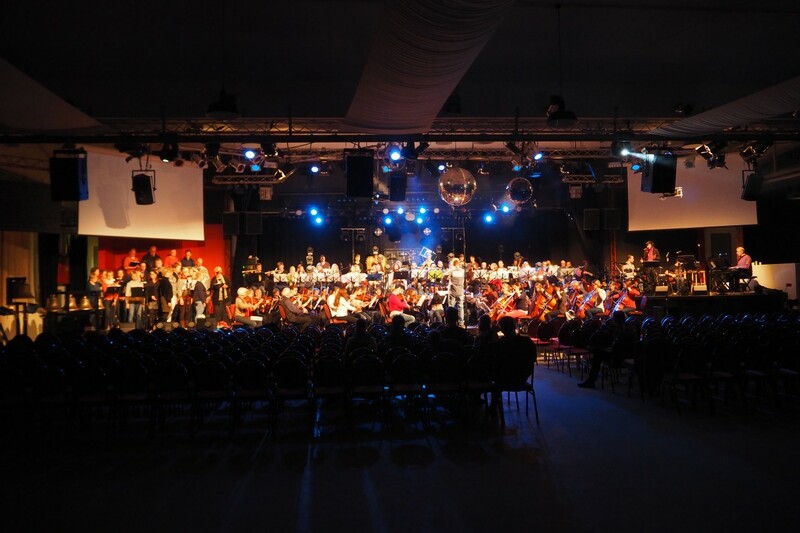 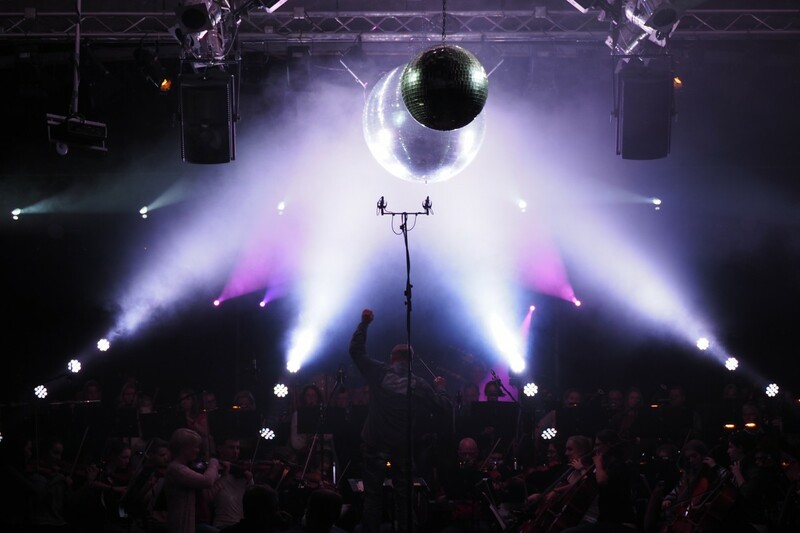 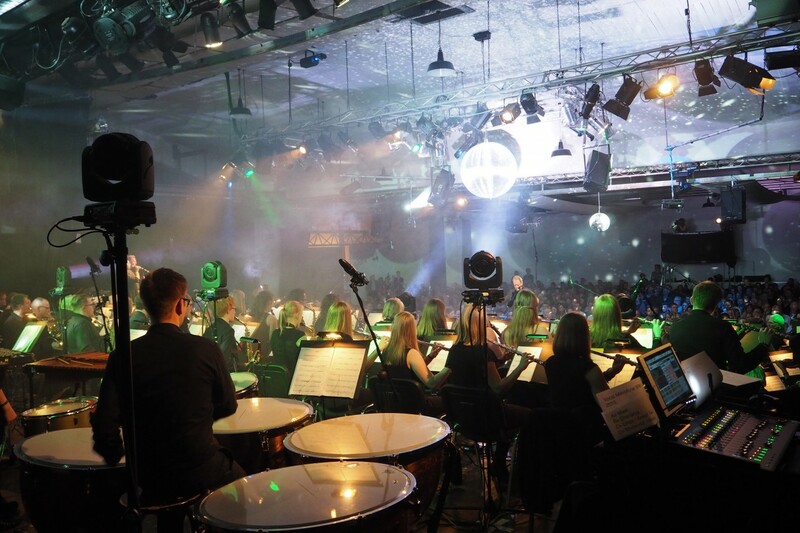 The Sinfonic Rock Ensemble consists of more than 120 musicians, divided into a classical orchestra of strings, brass, woodwind and percussion, a mixed choir, a rock band and 5 solo vocalists and seven church bells - all performing on 4 different stages at a time. 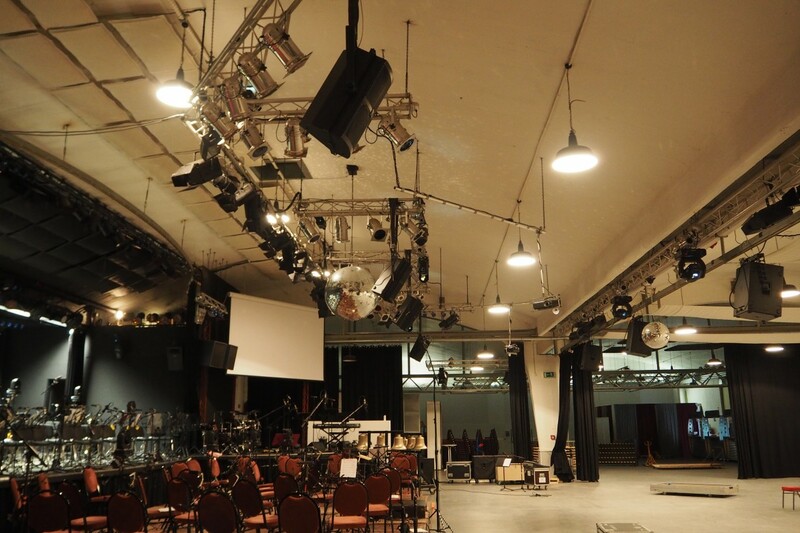 The concert hall is a former weaving mill with a square footprint. 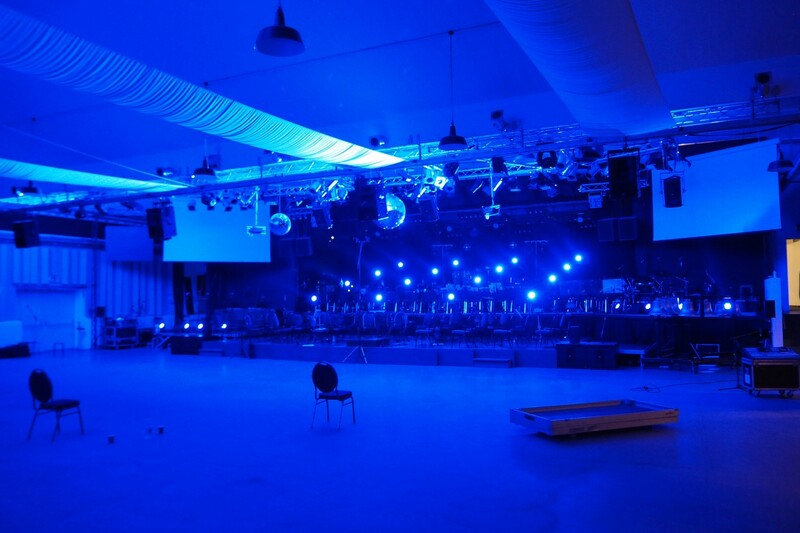 This doubles in to a similar empty hall behind a modest rear wall. 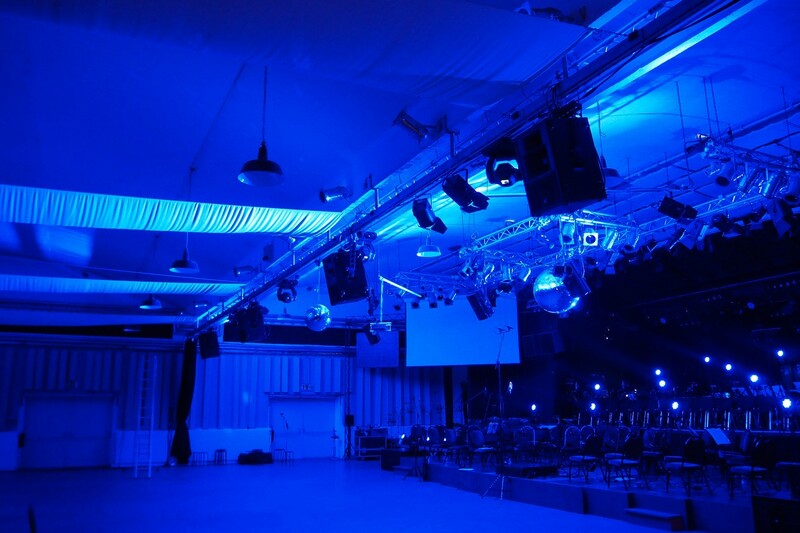 The challenge was to cover this problematic room with even coverage for each member of the 650 strong audience. 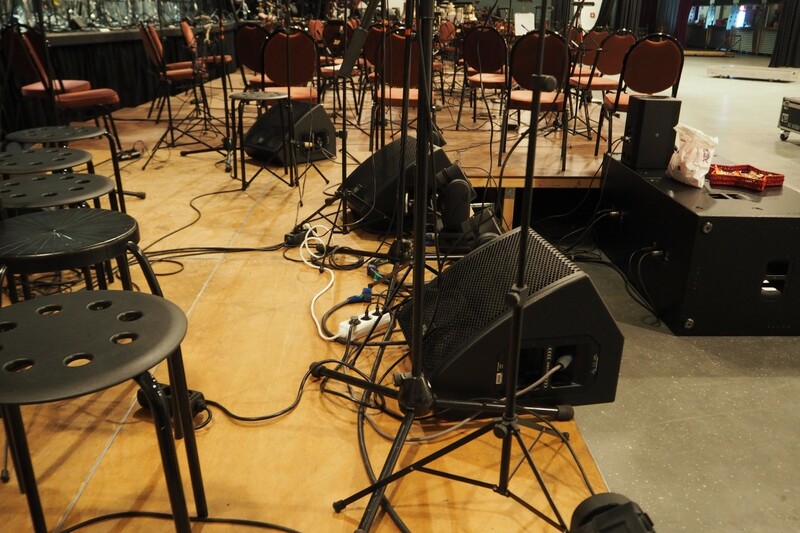 The KV2 system easily managed the task and the whole audience enjoyed a balanced and even sonic experience. 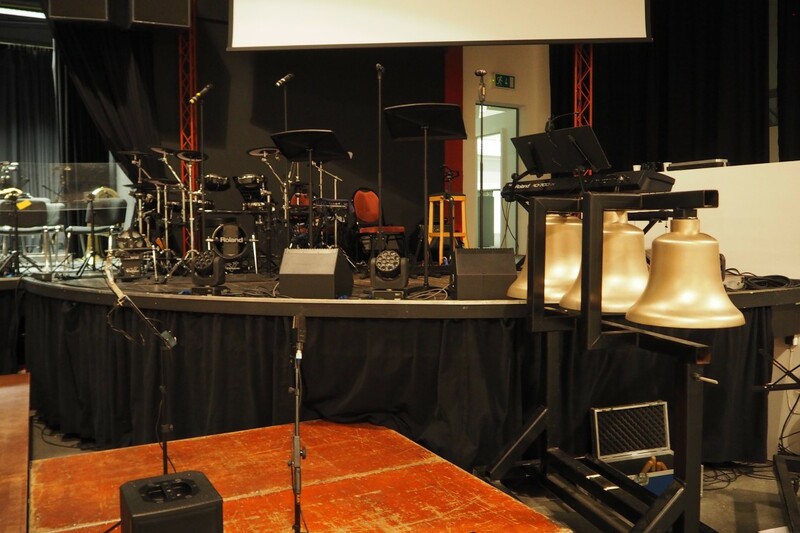 Andreas Grotenhoff first experienced KV2 audio products a year ago during an event held in a Church. 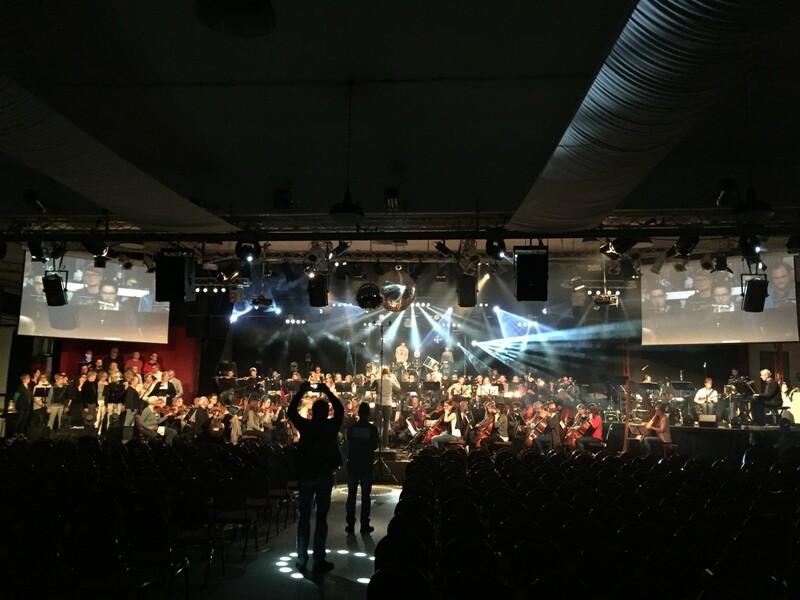 He was so surprised and impressed with the level of performance that he proceeded to hire KV2 products for some of his smaller concerts. 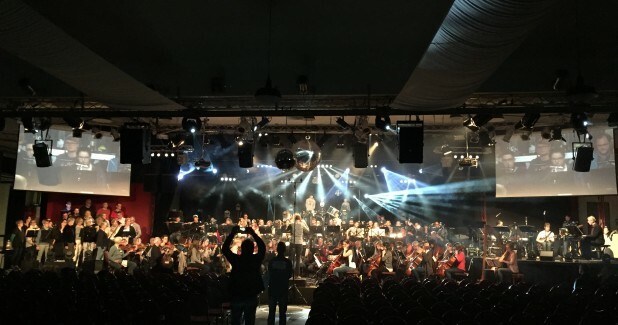 This led to him wanting to trial KV2 on a larger show and the Sinfonic Rock Night 2015 was the perfect opportunity. 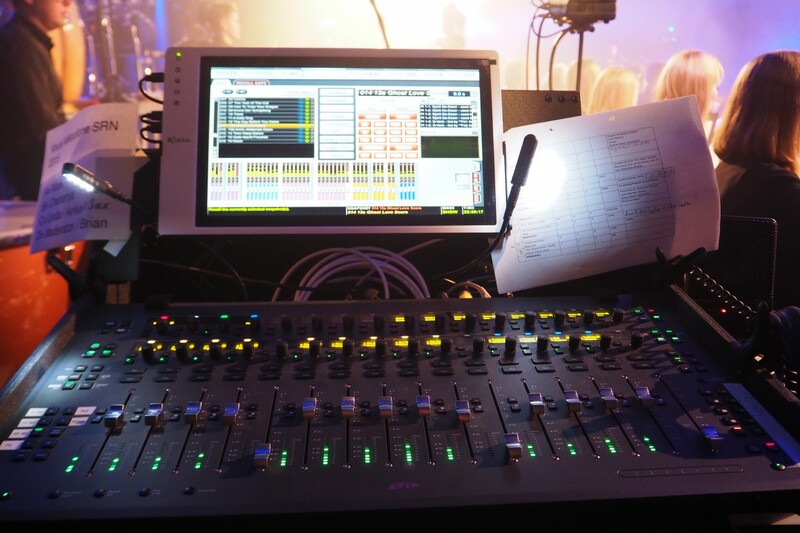 Frank Swierzy of IAD developed a sound reinforcement concept that we are pleased to report exceed all expectations. 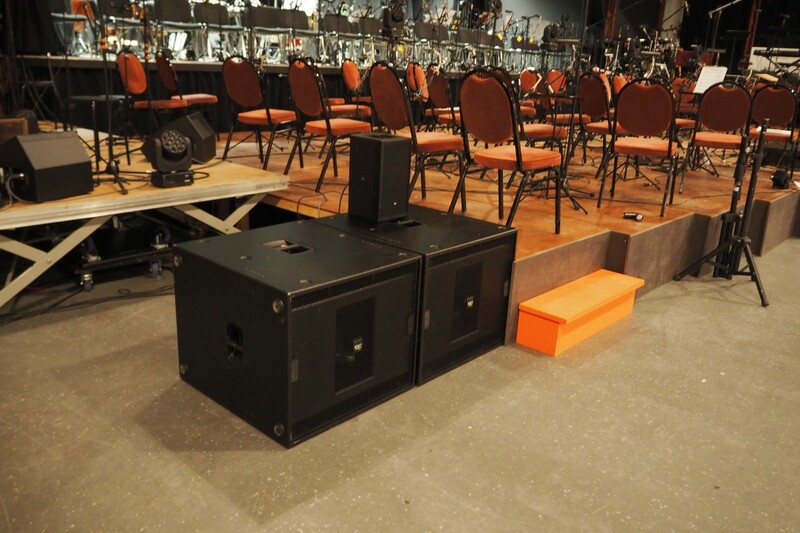 "These speaker are really fascinating. 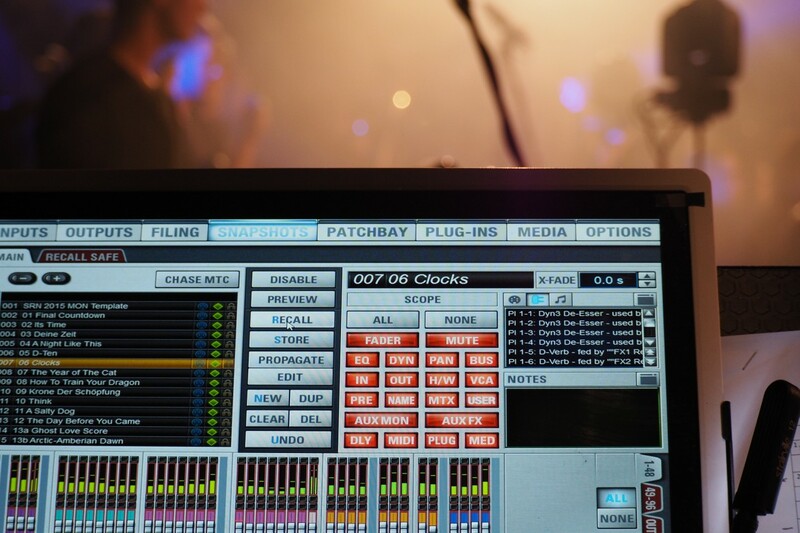 They are able to reproduce exactly the sound coming out of my mixing desk and to deliver it to every corner of the concert hall. 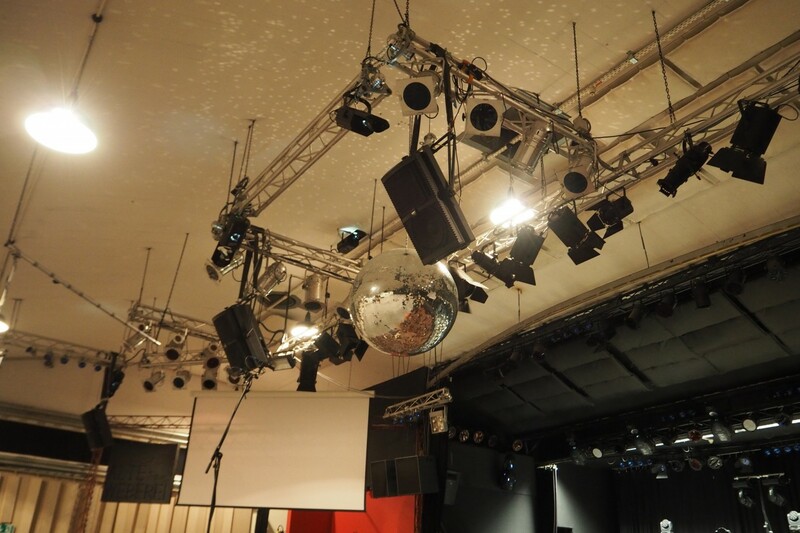 The concept from Rudiger and hid KV2's proved to be very convincing to the whole audience and me!" 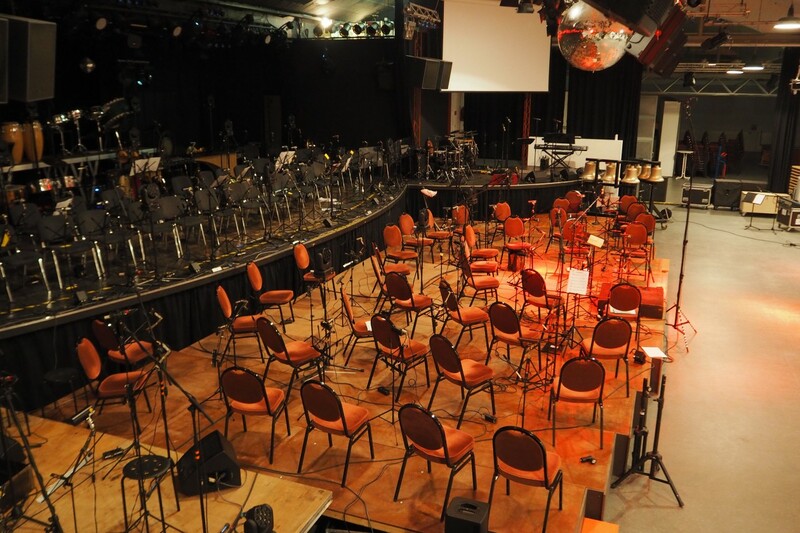 There were three conductors and Musical Director Ivo Weijmans.